"Bottled" redirects here. For more uses, see Bottled (disambiguation). 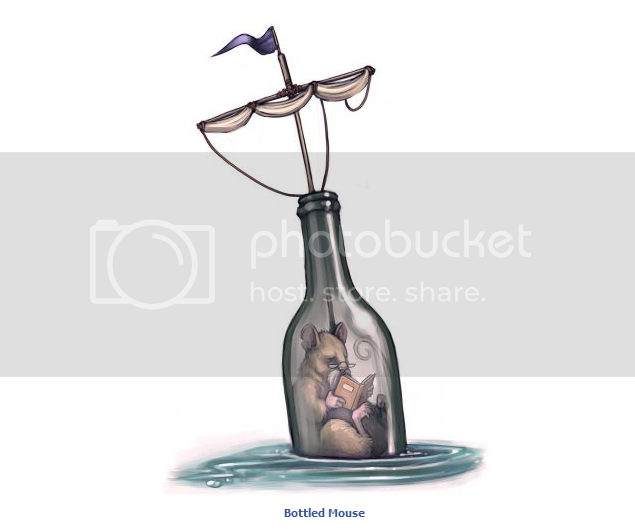 The Bottled Mouse is a breed of mouse found in the S.S. Huntington IV. Bottled mice have no specific preference for any kind of cheese. The Bottled Mouse drops the S. S. Huntington III Egg during the annual Spring Egg Hunt. As of July 2009, they became known to drop Compasses as loot. Although it is known that this is not a 100% drop rate, the exact rate is unknown. This page was last edited on 2 January 2019, at 13:27.